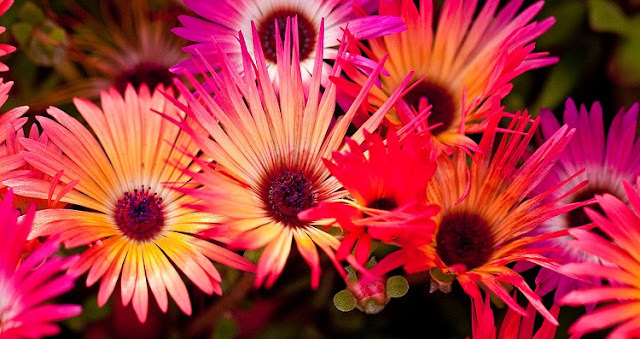 Commonly known as the 'Livingstone Daisy', Mesembryanthemum criniflorum is a popular half-hardy annual noted for its brightly coloured blooms and glistening succulent leaves. 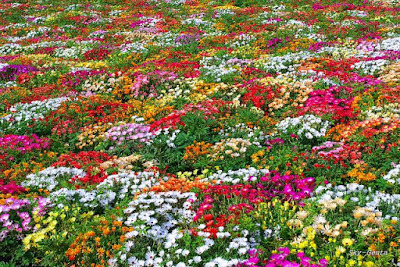 While the botanical name Mesembryanthemum criniflorum is the most widely used within the gardening industry, it is currently classified as Dorotheanthus bellidiformis. Despite its exotic looks it is surprisingly easy to grow from seed. However to make the most of the shorter northern European growing seasons, sow mesembryanthemum seed under protection from late winter to spring. Using modular trays filled with a good quality, well-drained compost such as John Innes 'Seeds and Cutting', sow the seeds on the surface at an approximate rate of 10 seeds per module. Do not cover the seeds as they require the presence of light to help initiate germination. Instead gently firm down the compost without sinking the seeds into the compost. 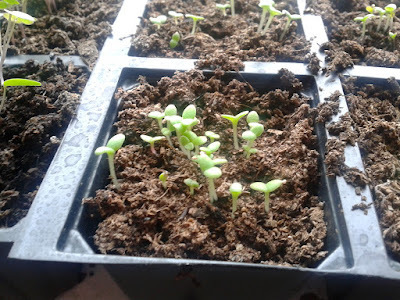 If you are watering from the surface you may wish to add a thin layer of vermiculite to prevent the seeds from being washed around the seed tray. Alternatively water from the base so that water naturally rises through the compost. Once the surface of the compost darken remove water from the base of the seed tray. Place the seed tray inside a heated propagator at approximately 15-20 degrees Celsius. Alternatively seal the tray inside a clear, polythene bag. Keep the compost damp but avoid direct sunlight. You can expect germination to occur between 15-21 days. Once the seedlings emerge, remove them from the propagator or polythene bag but they will still need to be kept in a warm, bright, frost-free position. When the roots have become established in the modules they can be popped out and potted on into 9 cm pots and grown on in cooler conditions for a further 10-15 days to harden off. They can be planted outside into their final position once all risk of frost has passed. Plant Mesembryanthemum criniflorum plants 30 cm apart. To flower they will require as much of the available sunlight as possible. They will perform best planted in a light well-drained soil.